The UAE is a great destination if you plan to travel with your kids. You do, however, need to consider the climate, which can be especially hot in certain months. It’s best to prepare properly to ensure that your little ones are comfortable and well-hydrated at all times while exploring. Fortunately, there are different activities offered in air-conditioned indoor facilities that your kids can take part in. 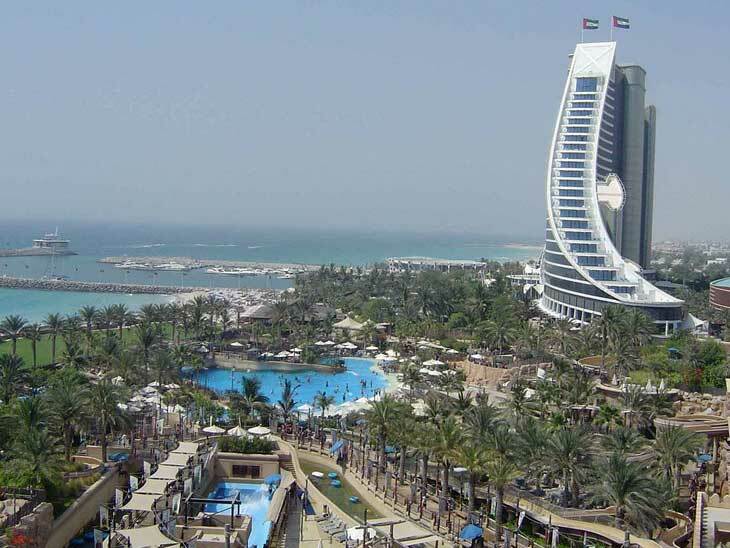 And once you discover the wide variety of activities and attractions available for you to choose from, you will quickly realize that Dubai and other key places in the UAE do indeed deserve a spot on your list of must-visit destinations for the whole family. From theme parks to water parks to sports clubs to indoor playgrounds, the UAE caters to different kids’ interests. Surely, the young ones will be entertained the whole time, and parents like you will definitely enjoy the experience as well! Because summer temperatures average at 41 degrees Celsius, Wild Wadi Waterpark is a preferred place to cool off. This park was inspired by the tale of a character from Arabian folklore named Juha. Inside the park, you will see 30 water rides and slides that you and your kids can enjoy. Apart from that, there are lagoons and interactive play structures for your little ones, water blasters, and even water rides for kids who are more than 1.1 metres in height. You can capture these unforgettable memories by signing up for a photography service, too. When you get hungry after all the action, you don’t need to look for a dining establishment outside the park because you can just eat at Juha’s Family Kitchen. Do your kids love ice skating? Bring them to the indoor ice skating rink at Zayed Sports City. Helmets, knee pads and elbow pads are provided to keep kids safe, and parents can use the gear too if they want. If your kids would want to learn the basics of ice skating, you can also enrol them in the UAE’s best ice skating program at ZSC Academy. This is actually the longest-running skating school in Abu Dhabi. Lessons are based on the principles of the Ice Skating Institute of Asia. Moreover, they have adopted the best practices from the world’s best rinks. This ensures safe, fun and effective ice skating lessons not only for the youth, but for adults, too. The Dubai Mall boasts of an aquarium and underwater zoo. Here, you and your kids will see different types of fishes, reptiles and amphibians. And if you are lucky, you’ll get to watch an exhibit featuring “King Croc,” a huge crocodile obtained from Queensland, Australia. Inside, you can participate in other activities. These include cage diving, shark diving, scuba diving, fish feeding, a glass-bottom boat ride, and a back of house tour. If you have the time and the means to try all these activities, don’t think twice about enjoying them with your little ones. These are some of the must-try activities in Dubai that your kids should not miss. You can also let your child aged 5-7 join the Junior Aquarist experience. 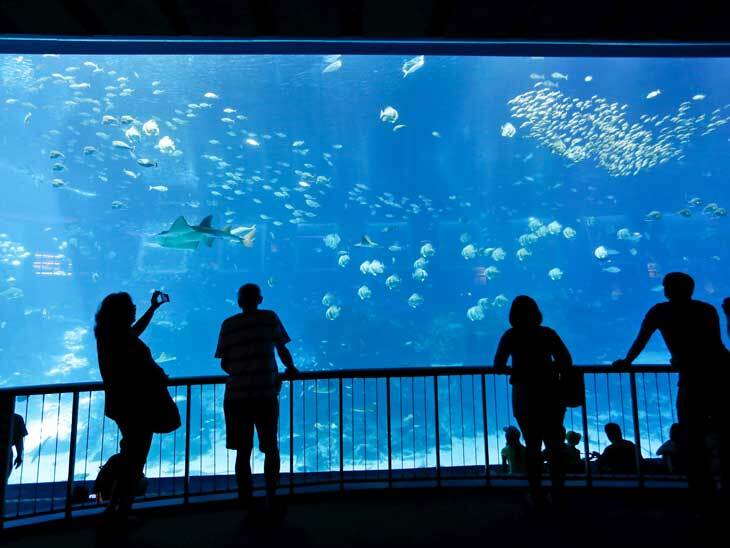 Here, your kids will meet an Aquarist, ride a glass-bottom boat, help in feeding the animals, and watch a shark feeding activity. Who does not like jumping on trampolines? This is probably one of the most enjoyable activities that you can introduce to your kids. Trampoline parks in the UAE have interconnected trampolines and activities like fitness workouts, archery tag, and toddler programs. To ensure safety, only one jumper is allowed in each trampoline. This may seem like an effortless activity, but within minutes, you will find your children sweating and craving for a cold beverage from the physical movements (but still having the time of their lives, of course!). While your little ones are jumping and bouncing, you can enjoy a cup of your favorite drinks at the park’s café. Remember, though, to book your kids’ jumping sessions online because they can become too busy during peak times and days. You don’t want to be turned away onsite. There is no better place to take your kids for wall climbing than in the Adventure Zone by Adventure HQ at Galleria Mall in Dubai. Here, you will find lots of climbing stations with backdrops that are child-oriented, such as a quiz wall, dinosaur skeleton, cogs, and fire truck. But aside from wall climbing, this indoor adventure park also offers other fun activities. These include trampolines and a high cable course that will also help develop a healthy mind and strong body. Like the trampoline parks, the Adventure Park can get busy during the weekends, and they may have party bookings. So make sure to call them ahead of time. Furthermore, see to it that your kids wear sports shoes to ensure a better grip. Though your child may be provided with climbing shoes, this may not be a viable option if their feet are too small. The extremely hot temperatures of UAE locations such as Dubai and Abu Dhabi during summer should not discourage you from visiting these awesome cities. There are plenty of summer activities you and your kids can still enjoy. Just make sure to do your research and call the establishment in advance to make bookings. What is your best tip for UAE during summertime with children? Please share in the comments below, on Twitter, Facebook , Instagram or Google+.